Oh hi. This isn’t a review, for a change, because I realized I posted so many reviews this week. Eep! Not that it’s bad, but I’m just not used to it. Anyway, let’s just pretend the things I’ll post this week wasn’t for last week. ;) In My Mailbox is a weekly book meme hosted by Kristi from The Story Siren, where bloggers post about what books received that week, be it via mailbox, library or store. 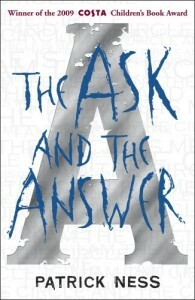 I figure I’d need a break from YA every now and then, and I’ve heard good reviews of this one. Let’s see if I’d think the same thing. 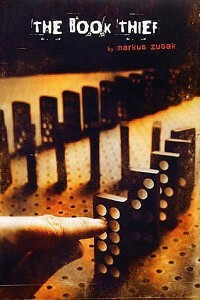 I’ve been looking at this book since I saw them in OMF (or was it the book fair? ), but I never had the motivation to get it. Finally grabbed a copy from National after seeing it was less than P200. I WoW-ed this book a couple of months back, and thanks to Grace for pointing this out to me! 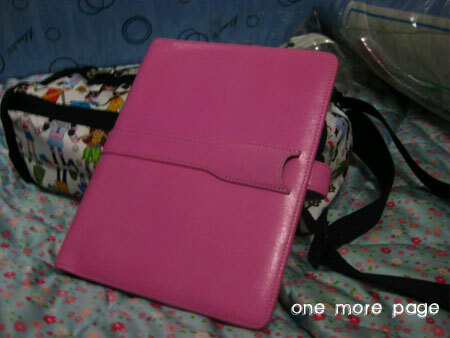 :) Don’t you just love that pink cover? The Book Smugglers have a good review for this, but I wasn’t about to pick it up until I saw the hardcover version in National for less than P350. I just had to get it, even if I’m not fond of hardbound books. 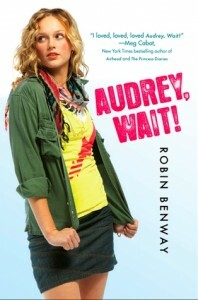 The paperback costs P399! This is a bargain, as far as I’m concerned. 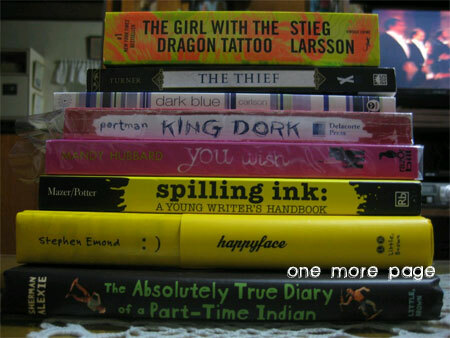 Not in picture: The Perks of Being a Wallflower by Stephen Chbosky. Picked it up as a favor for Ariel, who can’t seem to find a copy of this book. There were piles of this in Powerbooks Greenbelt and Shang. This is probably the biggest weekend stash I have ever had, and my wallet wasn’t really complaining. Probably because it was payday? I am not so sure. But I’m okay with this stash — I mean it’s probably not as expensive as say, getting Outer banks short sales (which isn’t that expensive, either, I’m pretty sure). But it’s not over! :) Guess what else arrived last week! It's in a pink case, definitely. 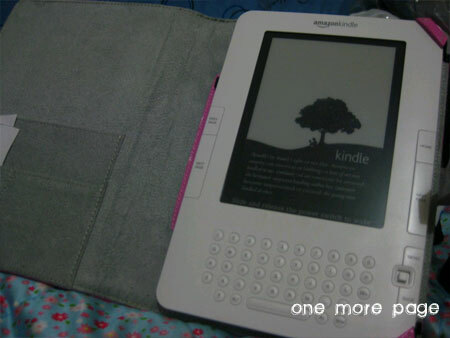 Yes, I have a Kindle! I gave in and ordered, and my mom brought it home last week. Funny thing, though, was I ordered this one two days before Amazon announced they were releasing new Kindles. T_T But so far, I’m pretty satisfied with this one! I don’t really need the Wifi (although it would be more convenient), and 3G signal works pretty well when I’m at work. Reading on it is awesome, though. The screen really doesn’t strain the eye. 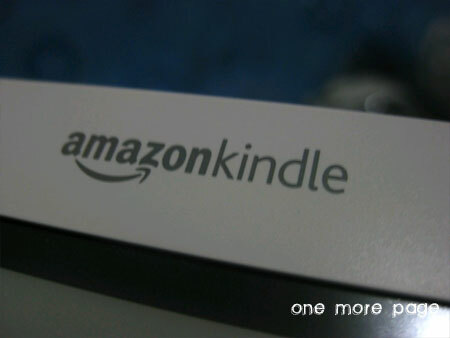 I’ll post a review of the Kindle soon, after I’ve read a couple more books on them. But I can say now that it’s a very good investment. So right after I worked out, I headed to Fully Booked Eastwood to check if they already have a copy. They don’t. I was heading to Shang that afternoon for an office thing, so I thought I’d pass by. I didn’t get to pass by Fully Booked in Shang, and I was already getting agitated. 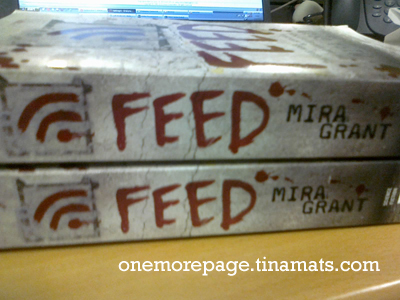 I need to get a copy of Feed, stat! So when I got back to the office, I made a phone call. Turns out there are no more copies in Shang, but there may be some at The Fort. I called The Fort, and success! I got them to send my copy to Fully Booked Eastwood. I was expecting it to arrive next week, since they said it would take 3-5 business days. But surprised, I got a text message earlier and now…viola. 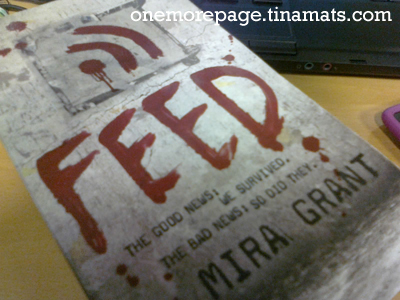 Wait, you don’t know what Feed is about? Read my review here! So it’s another Book Happy Friday! I found a lot of awesome books in Fully Booked earlier, too, and too bad I’m over my monthly book allowance…and I still have a ton of books on my TBR list. I must exercise control. Today was the first time I bought books again ever since Easter. I didn’t get to post about it here, but I fasted from book stores and buying books all through out Lent. That was the longest time I didn’t get in a bookstore, and believe me, when Easter Sunday came, I couldn’t wait to go in Fully Booked in Bonifacio High Street. 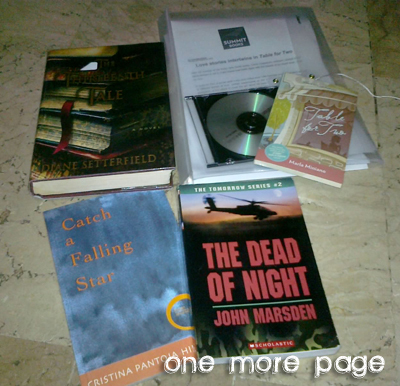 However, I was surprised when I went out of Fully Booked without a single book. Maybe it was because I didn’t have any money yet (payday isn’t until next week! ), or maybe it’s just because…there’s nothing to buy. Or nothing to buy immediately. I visited Fully Booked in Eastwood last week too, but there wasn’t anything too interesting, either. 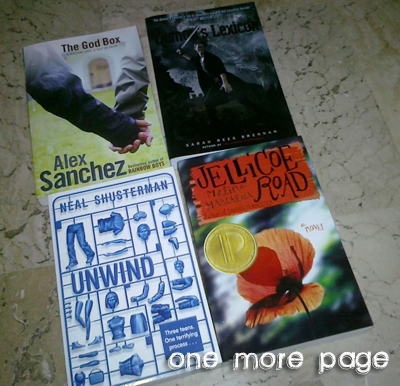 Today, I visited Powerbooks in Megamall again and finally went out with some purchases. It’s not that I should buy something really, but it’s just weird that I didn’t have anything in mind even after not visiting and browsing books for the longest time, you know? Anyway, I found a lot of new books I wanted in Powerbooks, and came out with two purchases, all within my book allowance for the month. Now here’s my question: how do you choose which books to get for yourself? I saw a lot of books I liked and were curous about, but I wasn’t sure if they were good, so I didn’t get any of them until I get some reviews. Right now I’m relying only on reviews and such, but sometimes some of the books aren’t reviewed. I’m kind of wary about impulse buys now, so I try to avoid getting books on impulse. So how do you choose which books to get? Do you rely on reviews, too? Do you just check the blurbs at the back? Friend recommendations? Random leaps of faith?